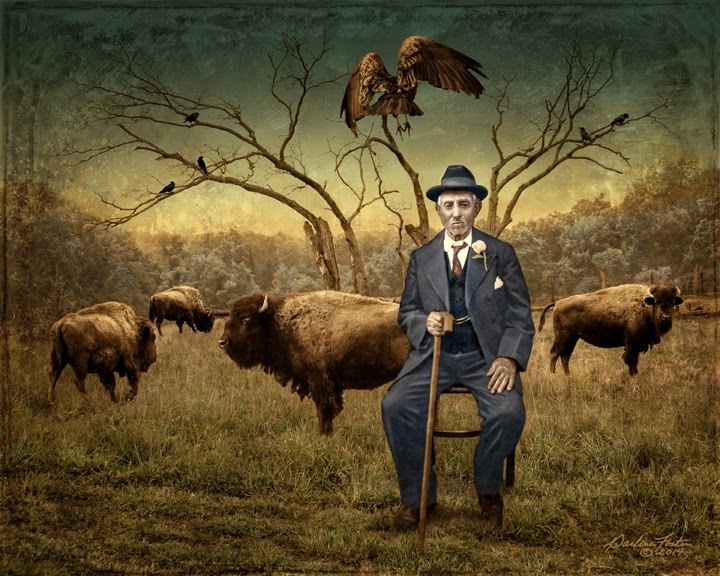 Buffalo Bill ©2014 - This montage was inspired by a field of buffalo I happened across in the area of Milford, a borough dating to the mid-18th century located along the Delaware River in western New Jersey. When I saw the field, I remembered it from several years ago but at that time, the buffalo were at the far end and I wasn't able to get any usable images. This time, they were wandering much closer so I got quite a few good shots (although I had to shoot through the openings of an electric fence)! The field itself was rather boring except for a lone, stark tree with bare limbs reaching in all directions, reminding me of lightning bolts across the sky. When putting together the composition, I kept the tree but layered 2 other images with more interesting grasses and contrasting trees in the distance. The gentleman is a vintage photo I've been wanting to use for awhile that seemed to fit what I had in mind perfectly. I added in the buffalo along with a vulture I captured the same day just as he was taking flight. Some crows from Greenwood Lake, New York were added to the tree along with a texture, color and filters. After a bit of trial and error, everything finally came together for "Buffalo Bill". It's so nice to have a day that seems to be charmed for some reason. 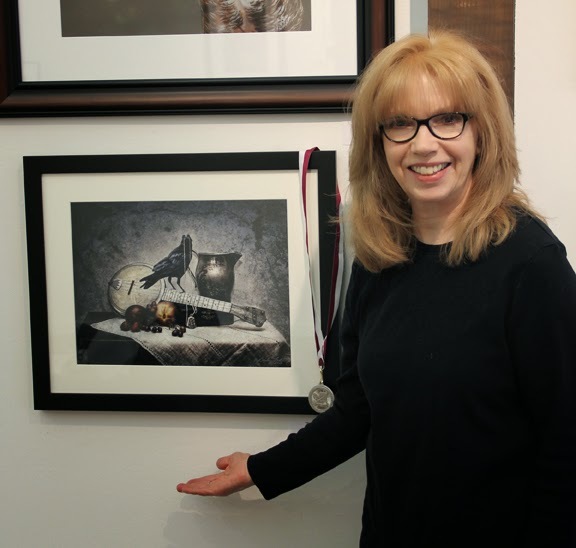 My other half, Tom and I drove down to Shrewsbury, NJ to pick up my prints from the "EyeSights" show at The Guild of Creative Art. When we pulled up to the toll booth on the Garden State Parkway, the attendant informed us that the car in front of us had paid our $1.50 toll! Thank you to that very nice person! 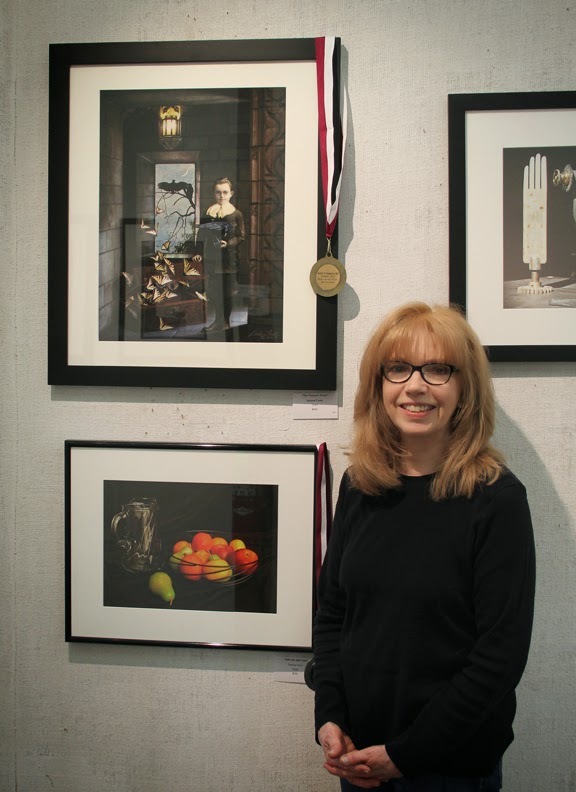 At the gallery, I learned that not only had I won Best in Show for "The Treasure Chest" but received a Judges Special Merit award-Silver for "The Locket" as well (it seems the second award wasn't announced at the opening due to some discussion as to whether an artist could receive 2 awards in the same show)! What a wonderful surprise! So on the way home we stopped and bought 2 lottery tickets. Hey, you never know!